Last year, several students filed serious discrimination complaints about Brandeis’ men’s head basketball coach, alleging preferential and discriminatory treatment, unprofessional behavior, and racially biased harassment. Brandeis, like all employers, has processes that must be followed in investigating complaints against employees, and employees have a right to due process. In this case, the complaints were investigated and disciplinary action was taken. Earlier this week, a new complaint was brought against the coach and he was placed on immediate administrative leave. In light of the new complaint, we began a thorough examination and review of the prior incidents. As a result of this complaint and that review, the coach’s employment with Brandeis has now been terminated. According to current and former Brandeis players—three of whom spoke to Deadspin—Meehan’s in-game sideline behavior, as well his behavior at practice, had repeatedly gone unchecked by Brandeis athletic director Lynne Dempsey, a close friend of Meehan’s. Players allege the coach consistently verbally accosted them, treated injured players unfairly, practiced nepotism, and, on several occasions, made racially insensitive comments. The players organized among themselves and took their complaints to Brandeis’s human resources department in May 2017; they presented a detailed list of instances involving Meehan to two school representatives, who opened an official complaint in response. The investigation proceeded over the ensuing six months, and a conclusion was finally reached in November 2017—though the contents of said conclusion, or any resulting punishments, were not revealed to players. Meehan, meanwhile, coached every Brandeis game this season; the school did not issue a statement regarding the investigation, or of any resulting punitive action, until Meehan was fired after Deadspin’s inquiries. Deadspin obtained a series of emails exchanged between the Brandeis HR department and the group of players—which span from May to November 2017—interviewed three of the players involved in the process, and obtained a copy of the notes the two Brandeis HR reps took when the players voiced their complaints. The athletes interviewed for this project opted to remain anonymous, due to either their current profession or to their continued presence on the campus; they will be referred to here as Players 1, 2, and 3. Meehan did not respond to Deadspin’s request for comment; neither did Sheryl Sousa, vice president for student affairs, or Dempsey. Brandeis declined to offer a comment. Former Title IX coordinator and director of employment and employee relations Linda Shinomoto, the lead HR rep on the case, did not respond to a series of emails and phone calls seeking comment; Robin Nelson-Bailey, vice president of HR, also did not respond. Players disagreed on the severity of Meehan’s behavior, but the report completed by Brandeis HR and interviews with the three former players all raised concerns about Meehan treating black players differently from white players on the team. There were also concerns about Meehan giving preferential treatment to his sons, who joined the program in 2015 and 2017. Players allege the coach consistently verbally accosted them, treated injured players unfairly, practiced nepotism, and, on several occasions, made racially insensitive comments. By the time the 2016 season opener arrived, three black players had been cut from the team—one player got the heads-up from his high school coach and beat Meehan to the punch by quitting. According to the three players Deadspin spoke with, being suddenly cut was a fairly regular occurrence on the team. But the manner and the timing of this player’s being kicked off left a sour taste in his mouth. After being cut, Player 2 went to speak with Dean of Student Life Jamele Adams to discuss what he felt was “unfair and discriminatory” treatment on the part of Meehan. But when Adams requested a meeting between the player, Meehan, and athletic director Lynne Dempsey, it was declined by Meehan and Dempsey. Neither provided the player with a reason for their denial. Two years later, on Martin Luther King Day 2017, per the HR report, the team was running drills when one black player, who was wearing the white side of his white-black reversible practice jersey, was told by Meehan that being white must be a “dream come true” for him, per both the report and Player 3, who witnessed the interaction and confirmed the sequence of events to Deadspin. The player Meehan was speaking to played on the team for just two seasons, leaving the team after the 2017 season ended. Not every player thought comments like these from Meehan defined him as a coach. While he maintained his complaints about Meehan’s overall conduct—nepotism, poor coaching quality, and unwarranted outbursts—one player felt that Meehan’s actions and comments didn’t necessarily indict his character. Though the reception to Meehan’s behavior varied, the numbers do not. One of the more eye-catching notes in the HR report is the players’ recognition of the difference between how long white and African-American players tended to last in Meehan’s program. This difficulty retaining black players seems to extend even farther back than the four-year window (2013 to 2017) examined in the HR notes. Since 2011, the Judges have had 20 black players on their roster—in that time, exactly three of the 20 played on the team for the full four years. The rest either quit or were cut by Meehan. Excluding the two players who joined the team during this past season, the average number of seasons black players play for Brandeis is 2.22. According to the same roster archives, white players have had better luck sticking with the program—since 2011, eight of the 24 white players that have been on the team completed four or five years with the team. Excluding the players on this year’s team, the average number of seasons white players play for Brandeis is 2.9. Beyond the claims of racial insensitivity, the second-most popular critique of Meehan in the HR report was his treatment of injured players and, relatedly, his favorable treatment of his two sons. Per the players, the special treatment of Meehan’s two sons did not extend to the other players; it certainly did not extend to those sidelined by injuries. According to the HR document and the player interviews, Meehan routinely treated injured players coldly, distancing them from practice and preventing them from participating in team events. According to four players interviewed by Brandeis HR, Meehan told an injured player, “you are dead to me” during a home game against the University of Chicago on Jan. 23, 2015. Player 1 recounted his time on the team during an injury-filled freshman season for Deadspin. “If you were hurt, unless you were his son or one of the other white players, you were basically dead to him,” he said. “I had so many injuries, and the trainers were like ‘[Player 1], you need to sit.’ But I’m like, ‘Bro, I can’t really sit because if I do this, he’ll say I’m dead to him, he won’t play me, he’ll think negatively of me.’ [Meehan] just put me down. When I was young, as a freshman, I had a couple injuries and, you know, I got to treat my injuries, and he would look at me in just a weird way. Like not human. The same player said Meehan’s older son has back issues that forced him to sit out practices, but that he was still allowed to start or play in the following game, a courtesy the three players that spoke with Deadspin, and the three other players that spoke with HR, felt was not extended to the rest of the team. At the final Brandeis home game of the 2017 season, the team’s Senior Day, the Judges faced off against Washington University in St. Louis. With the half winding down and Brandeis keeping the favored Bears within striking distance, one of WUSTL’s players was whistled for a technical foul, as Player 1 remembers it. This meant one of the Judges had to go to the line for two shots. Given that Player 1 was a senior playing on Senior Day, and that had made 17 of 19 free throws in the previous four games, he stepped to the line to take the shots. Then, Meehan motioned to him to return to the bench; in Player 1's place, Meehan entered his son, Nate, who went 1-of-2 from the line. On the way back to the bench, Player 1 let Meehan know he wanted to take the shots; from there—according to multiple Brandeis players who witnessed the event—Meehan exploded. Player 1 recalled what happened next: “I think it was a technical foul, on the other team. I was on the court already, so I was going to go shoot the shots. His son was on the bench; he went to go sub his son in to shoot for me. I made like 15 free throws in a row. This kid’s coming off the bench. I’m a senior, this is my Senior Night, I’m going to shoot these free throws. Then he tried to sub me out and I’m like, ‘Why’s he subbing me out?’ And he started yelling at me on the bench. “So I’m like, ‘Have your son shoot the shots, it’s okay.’ Then he keeps looking at me, chirping at me. Then it was like two seconds left and they shot it at half-court. The half is over. Multiple players corroborated the story to Brandeis HR (From the HR report: “[Redacted] confirmed that it was horrible what happened, and it wasn’t right to talk to a student like that”), and Player 3 corroborated the story directly to Deadspin, saying Meehan cussed out Player 1 in front of the reported 218 fans that showed up to watch the game. For several members of the team, the tirade was the final straw, not just because of how Meehan behaved in front of the parents, but because they also saw Dempsey, the athletic director; Tom Rand, the senior associate AD; and Andrew Flagel, the senior vice president for students and enrollment, witness the event in the stands and do nothing to stop it from happening, either in that specific moment or, to their knowledge, in the future. This incident is also contained in the HR report as told above. At the close of the 2017 season, the core of the Brandeis team had a decision to make: They could continue playing for Meehan, knowing that there was little chance anything would substantially change, or they could try to make a difference. After conferring among themselves and running it past the athletic training staff, six current and former players placed their trust in the hands of the internal university justice system, opting to file an official complaint. The players met with Robin Nelson-Bailey, vice president of HR, and Linda Shinomoto, director of employment and employee relations and Title IX coordinator, May 9. 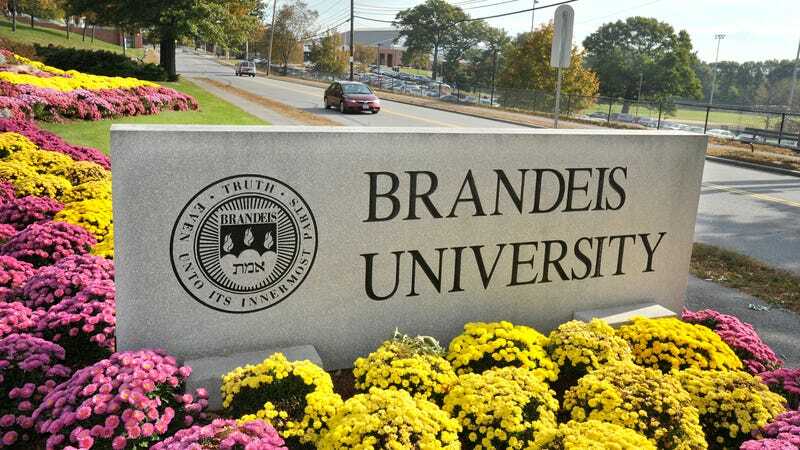 There, they provided the two Brandeis employees with their list of complaints, along with dates and times and multiple witnesses to back up each instance of Meehan’s misbehavior. In a follow-up email sent to the reporting players, the HR team provided them all with a detailed account of the complaints voiced at the meeting. Player 2 was not on campus and thus scheduled a phone call. On the call, he said, the HR rep did not explain Shinomoto’s sudden departure days before final reviews were set to take place; she did, however, inform him that they were able to confirm several of the instances of racially insensitive remarks, though she did not specify which ones. Nelson-Bailey also did not inform Player 2, or any of the other players, whether Meehan would face any internal punishment, nor did she inform them what form that punishment, if there was one, would take. Meehan’s continuing behavior (the send-you-back-to-Africa and Ebola comments occurred this season, after the investigation was completed), the drawn-out investigation, Shinomoto’s oddly timed departure, and the school’s inability to share its final decision with the players made them feel like the entire investigation had been pointless. The six young men who organized the movement against Meehan, including the player who just finished another season with the Judges, seemingly had their experiences listened to, brushed aside, and forgotten. For the three players who spoke with Deadspin, the most frustrating part of the ordeal was not that they had to endure years of mistreatment or the six-month investigation; it was that Brandeis—in light of all their testimony, in light of multiple athletic and university officials physically witnessing and being informed of Meehan’s behavior—waited so long to fire a coach who hasn’t posted a winning season in four years. Meehan’s run at Brandeis lasted 15 seasons. He opened his career strong, taking the Judges to four DIII NCAA tournaments, including a pair of Elite Eight appearances, all within his first seven seasons. But beginning in 2011, his grip on success had loosened considerably. After a pair of 13-12 finishes in 2012 and 2014, the team piled up twice as many losses as wins, going a combined 33-66 from the 2015 season through 2018. In the college athletics culture, winning tends to be a band-aid over even the most heinous of accusations. So, to the players, seeing Brandeis repeatedly stick with Meehan spoke to a larger issue within the school’s athletic department. The players who spoke with Deadspin said they remain proud of their efforts to organize and officially document what they felt was mistreatment at the hands of their coach. The Judges finished 7-18 in 2018.